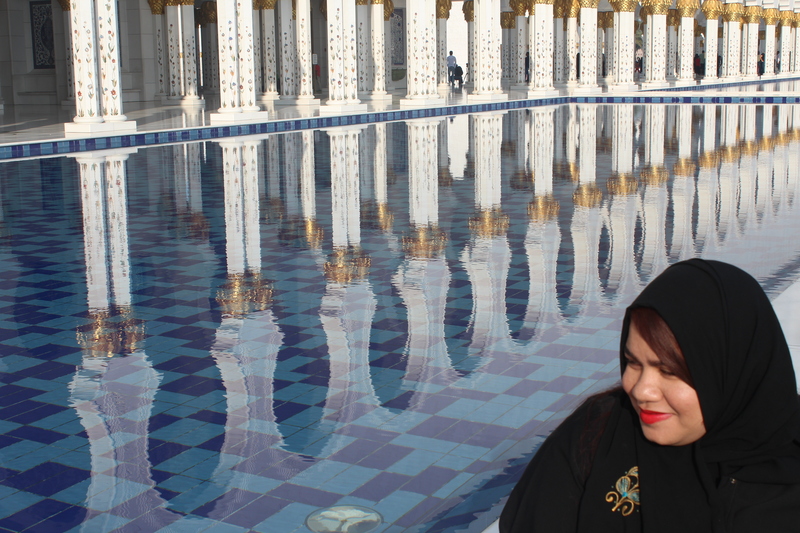 Out of all the places I’ve been to in the UAE I don’t think anything can and will beat the day I spent at Sheikh Zayed Grand Mosque. Many people would probably think and say that there’s nothing really spectacular about the place but I can’t even begin to describe how wrong they are. Pfffft even celebs like Riri are visiting the place! Ill let my pictures do the talking. 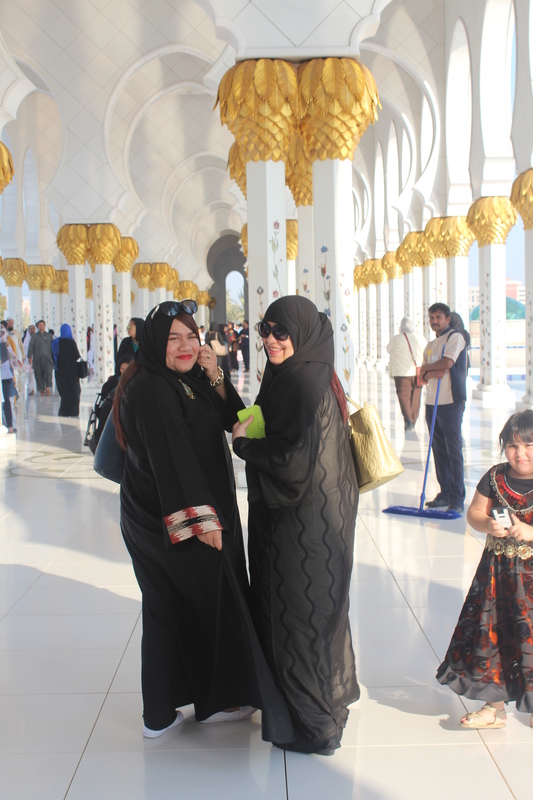 For some reason I just felt in my element when touring the grounds of the 3rd largest mosque in the world. 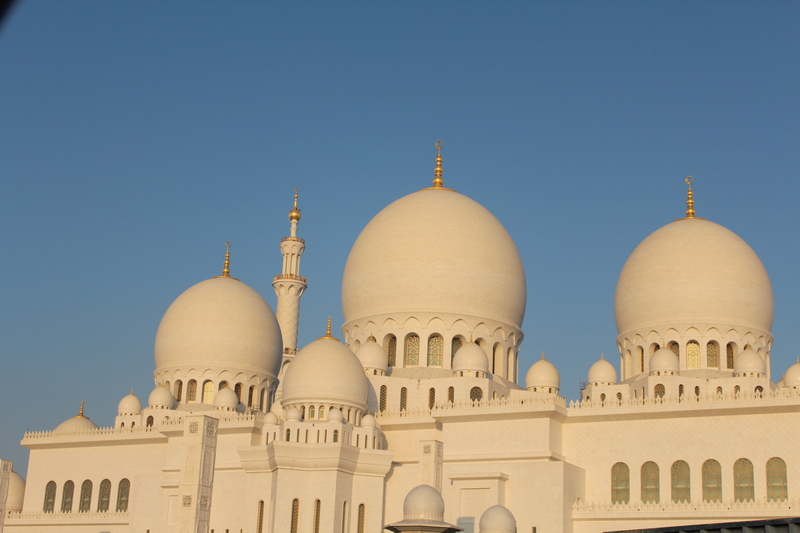 When driving along the road toward the mosque, one is greeted with the most beautiful plot of architecture. I read so many posts online about the mosque and how people said that they visited more than 5 times and never got bored so obviously my curious mind wanted to scout it out. There’s just something spiritually uplifting about sitting by the pools along the arcades reflecting the mosque’s spectacular columns listening to the Ad·han. When entering the grounds of the mosque and you’re not adhered to the dress code, then one can get an Abaya at the mosque FOR FREE for the duration of your visit. Also did I mention that visiting/ touring the mosque is absolutely FREE? Perfect for my student budget if you ask me. If I were to ever return to the UAE I would love to visit the mosque at night time, I’ve been scouring the net and the pictures are nothing short of incredible. I visited on a week day and the place was packed but that’s fine with me because the grounds can accommodate 44 000 individuals. See how I’ve done my homework before going and how I came to the conclusion that I really NEEDED to go? 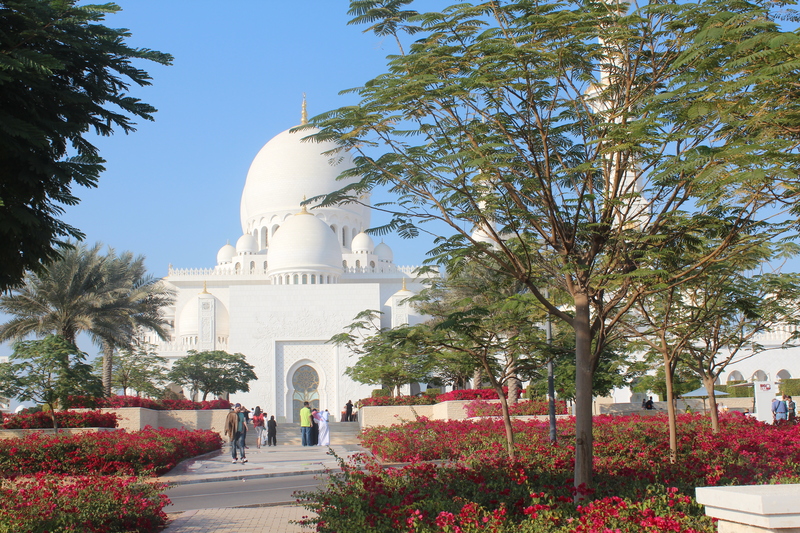 In my opinion, I don’t think that your trip to Abu Dhabi is complete without visiting Sheikh Zayed Mosque. I may or may not have forgotten my heart on the steps of the mosque. Exaggeration much? … I think not! May just a little. 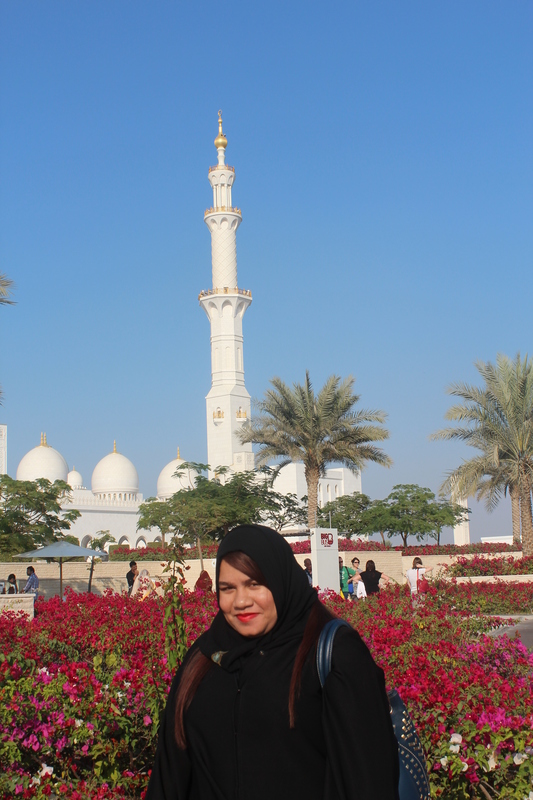 Tags: Abu Dhabi, City Girl Vibe, Dubai, Islam, Muslim, Sheikh Zayed Grand Mosque, Travel, UAE. Bookmark the permalink. This is so exciting Tazz, I got vibes like I was actually there from reading. I love it! Thank you for coming back. Wish you all the best for school. I’m glad I can connect with my readers like that, It means alot that you’re always reading and supporting my lil corner on the interwebs. Thanks for the kind words, i need all the well wishes for this year, Its hectic!